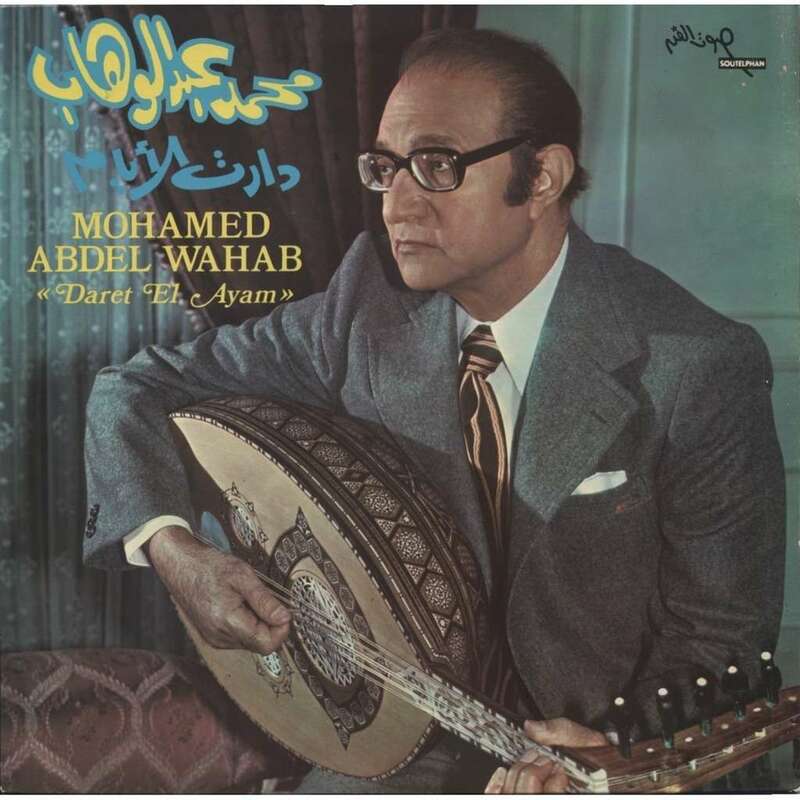 Mohammed Abdel Wahab was the most prolific Arabic composer of his time, responsible for more than a thousand songs. He personally sang hundreds. For his orchestration of the Egyptian national anthem, Anwar Sadat awarded him the rank of general. Abdel Wahab was born in 1907 in Cairo. He made his first recording at the age of 13. In 1924 he was taken under the wing of Ahmed Shawky, then known as the Prince of Poets. Shawky saw to the furthering of Abdel Wahab's musical and literary education, so that in time if Shawky was the Prince of Poets, Abdel Wahab was known as the Singer to Princes and Kings. In the late 1920s Abdel Wahab wrote traditional melodies, well suited to Shawky's texts. But as European rule replaced Ottoman rule, Western influences affected local music. In particular, stage musicals in Arabic incorporated Western elements. In 1926, it fell to Abdel Wahab to complete a musical left unfinished by the late Said Darwish, a great composer of the previous generation. The musical centered on Antony and Cleopatra, and Abdel Wahab himself played Antony to great acclaim. After visiting Paris and familiarizing himself with French musical presentations, Abdel Wahab invented the Arabic film musical. To a popular culture in which romantic love was commonly associated with suffering, Abdel Wahab introduced a romantic hero of light-hearted wit and urbane sophistication. His films portrayed a Westernized social elite and featured music that broke from tradition. Fellow composers noted that the music was simplistic compared with Abdel Wahab's previous work, and Abdel Wahab used lip-synching rather than the improvisation on which Arabic music had traditionally relied; but audiences loved it. The film "The White Flower" was a phenomenon, breaking attendance records. Abdel Wahab enjoyed introducing new female singers to the public through his movies; many became stars, including the great Leila Mourad, who would go on to produce her own films. Musically, his films continued controversial, as he began to feature large orchestras with admixtures of Western instruments. Into his art, he hybridized Western song forms such as the tango, samba, and rhumba. 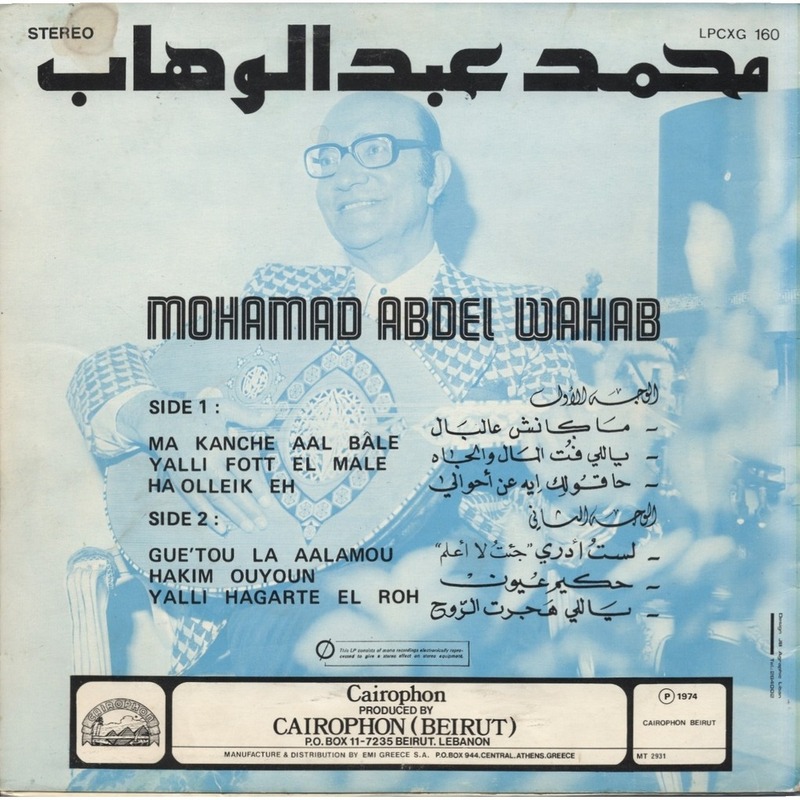 In the 1950s Abdel Wahab left film and concentrated on his last recordings as a singer, assuming a new and more serious musical style. In the 1960s he stopped singing, but he continued composing for other singers. It was in 1964 that after years of rivalry at the top of their profession Om Kalthoum released a record of his "Ente Omry" written for her to a text by the poet Ahmad Ramy. Perhaps partly because of its timing-- coinciding with the flowering of Nasserism-- the recording became Egypt's all-time best-seller. It was the song the young generation thought of when they thought of Om Kalthoum, though it was certainly Abdel Wahab, not Om Kalthoum, who spiced up the orchestration with an electric guitar. For many years Abdel Wahab appeared very little in public, but his popularity never faded. In 1988, at the age of 81, he made a surprise return to the studio, singing a new composition, and despite lyrics that seemed unacceptably iconoclastic to some radicals, the disk sold two million copies. Some biographical information about @abdel Wahab from a TV program by Simone Bitton for Arcadia Films, written up and contributed by Mark Levinson.